Kate from booksaremyfavouriteandbest names the title of the first book. Participants (yes, that can include you!) 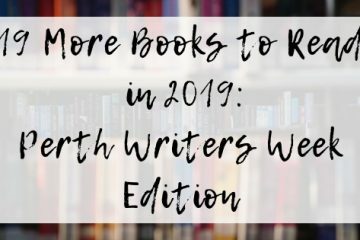 link it to whatever book comes into your head next, regardless of how random that connection may seem. Repeat until you have a chain of six book titles, not including the initial one. Publish on your own blog, or let me know in the comments. Head over to booksaremyfavouriteandbest to add your link to the list, thus sharing your chain with other 6 Degrees participants. This month’s starting title is The Tipping Point: How Little Things Make a Big Difference by Malcolm Gladwell. My instant response was to link The Tipping Point to Love in Small Letters by Francesc Miralles, as it was a story about someone who made small changes in his life with big consequences. However, I included that title last month. 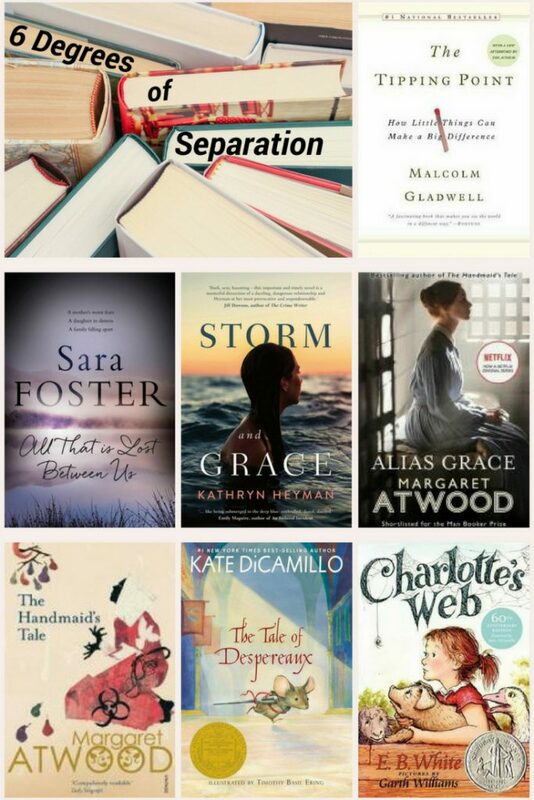 Instead, I’ll pick the book that came to me second, which was Sara Foster’s All that Is Lost Between Us, about a girl whose secret is about to go viral on social media, leaving her in terrible danger. 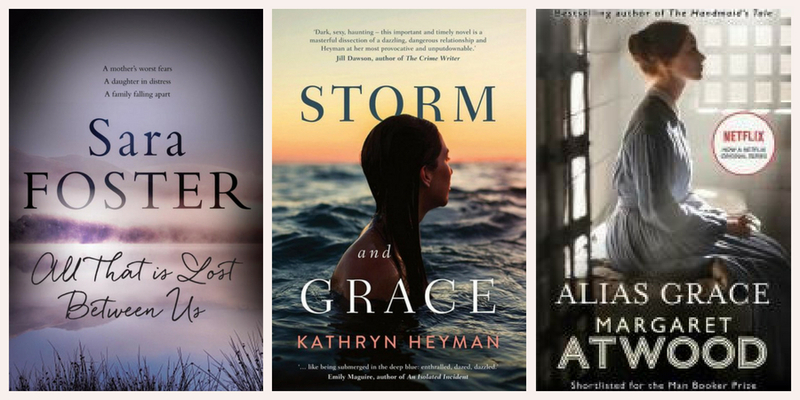 Grace, the protagonist of Kathryn Heyman’s Storm and Grace has secrets of her own. She also finds herself in grave danger after becoming smitten with world-famous freediver, Storm Hisray. My next book is linked by the name of a character in the title. Margaret Atwood wrote Alias Grace in 1996. This is still on my to-read list, and one I want to read before I attempt the recently released series. However, I am currently watching The Handmaid’s Tale, also by Margaret Atwood. From memory, the book ends in a similar way to the first season, which I found as gripping as many led me to believe. A very different book with ‘tale’ in the title is The Tale of Despereaux by Kate DiCamillo, which delighted my children long before it, too, was adapted for screen. I bought it from one of my favourite bookshops in the Great Southern district of Western Australia, then read a chapter aloud each night during a holiday to Tasmania. When I was a young child, one of my favourite books also contained animals as the central characters. I loved the nurturing, encouraging spider (Charlotte) and the loveable pig (Wilbur) in Charlotte’s Web by E.B. White. I was inconsolable, not just by the sad turn of events later in the story, but because my brothers tore the book into pieces, while I was visiting my grandparents without them. As usual, the chain led me in an unexpected direction. Beginning with the notion of ideas spreading like wildfire and secrets going viral in the present, the books went back in time to the 1800s and then forward to a dystopian future that at times seems all too possible – and in some parts of the world is too close to currrent realites. From there an escape from reality to worlds in which animals talk, but where perhaps we are best shown how to treat one another. 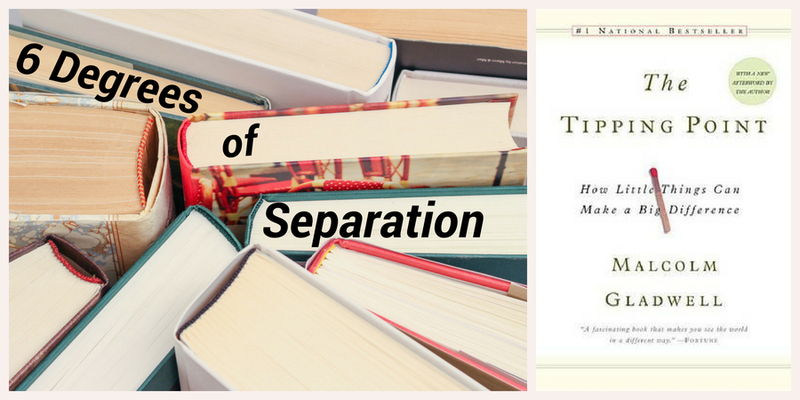 Where has 6 degrees of separation led you? 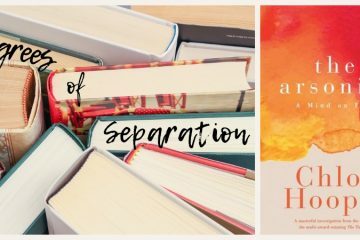 Join in by giving me the link to your chain on your blog (and posting the link over at booksaremyfavouriteandbest to get the word out). 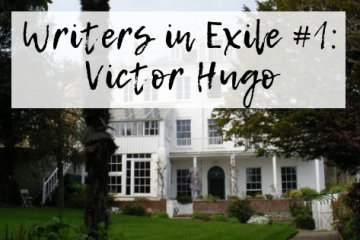 And if you don’t have a blog, that’s no problem – simply leave your chain in the comments on this post – I’d love to hear from you! Next month (7 July 2018), we’ll begin with Tales of the City, the first in the much-loved series by Armistead Maupin. Very impressed that you managed two Margaret Atwoods then finished up with Charlotte’s Web! I have to admit to chickening out of the second series of The Handmaid’s Tale. The first was both gripping and harrowing in equal measure. I remember finding the book both gripping and harrowing as well. I have to say I have only watched the first episode of season two, and I did find that episode particularly harrowing. I think it’s parttly how easily it is to dehumanise another, and therefore enable someone to inflict pain and cruelty on others. 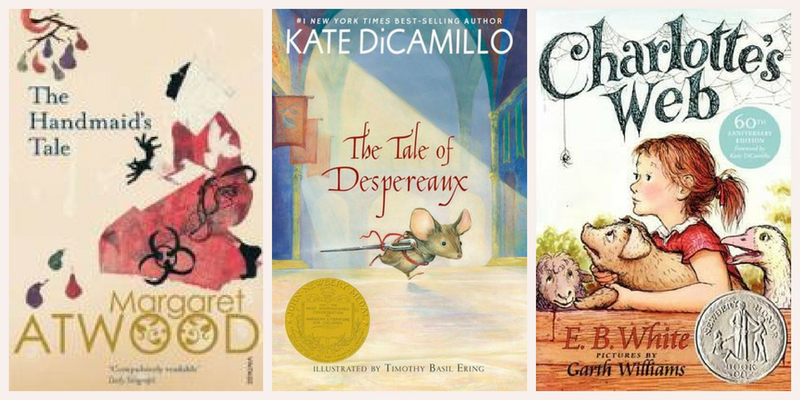 Love your choices this month, particularly Despereaux! I’m watching S2 of Handmaid’s now. I’m a bit disappointed – although it has retained the fantastic cinematography of S1 (I really think it is exceptionally good – all those aerial shots and the chilling, drained colour), the story arc doesn’t have the suspense of Atwood’s novel. That said, I’ll keep watching! Thanks, Kate! It’s always interesting to see where the links in the chain lead. I’m only a couple of espisodes into the second season, so a bit early for me to tell how I feel about it. I did feel the first season stayed reasonably true to the essence of Margaret Atwood’s original story, and found myself remembering things that happened in the book.